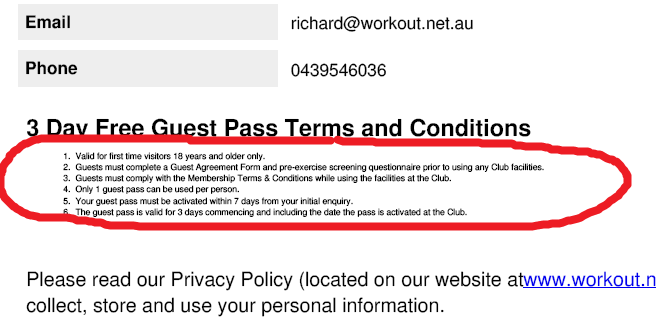 How can I make the terms and conditions appear larger in the email confirmation. Can you please help me to make the 3 day pass terms and conditions larger in the emailed confirmation to the customer. i have included a screenshot of the actual size of those terms and conditions as it appears in the confirmation email. All of our other terms and conditions in the form appear larger in the emailed form.